Take us to your gardener! You've gotta admit, these Love-in-a-Mist seedpods look awfully extraterrestrial. These are all self-sown plants, by the way. 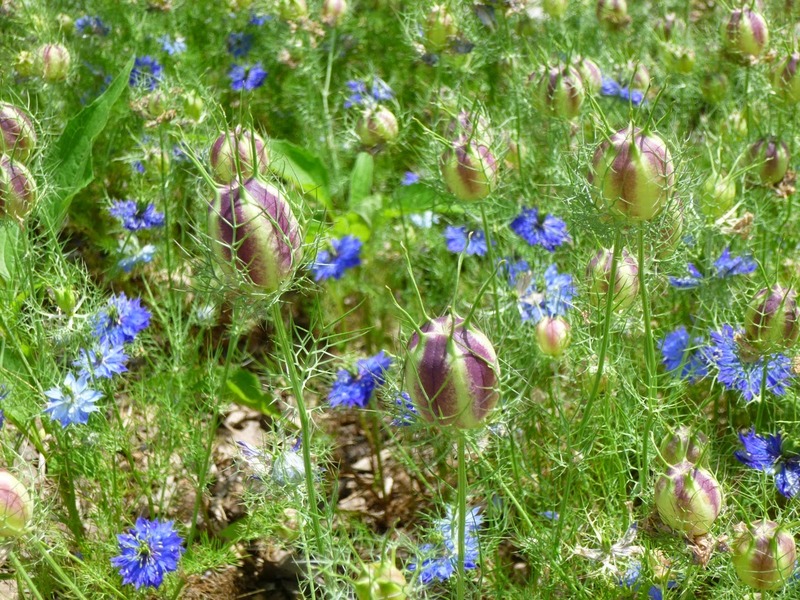 Love-in-a-Mist (Nigella damascena) is an annual flower that self sows robustly. So far, I'm liking it a lot, though I may try cutting off some of the seedpods before they mature so that next year's crop doesn't get way further out of hand. That said, I've found that seedlings are easy to pull. Last year, the seeds sprouted in the fall and the plants stayed green and healthy even when temperatures dropped to below zero degrees Fahrenheit with no insulating snow cover. It was nice to have something green to look at in the depths of winter when the landscape was mostly brown. 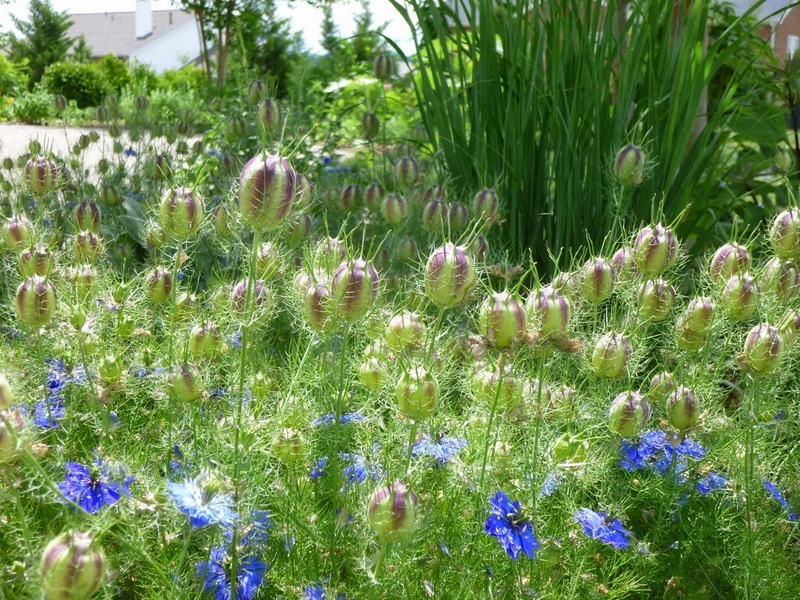 When temperatures warmed, Love-in-a-Mist took off - rocketing upwards into a ferny, wispy mass that's been topped over the past week or so with intricate complex flowers that start off nearly white and mature to a deep dark blue. I feel like the flowers lasted long last year, but this year they seem to be blooming in fast-forward, racing through their color changes and then producing their wild E.T. seedpods which will decorate the plants for months to come. Pretty blue flowers. Weird and wild seedpods. That's Love-in-a-Mist for ya.